Sally's Window of Scraps . 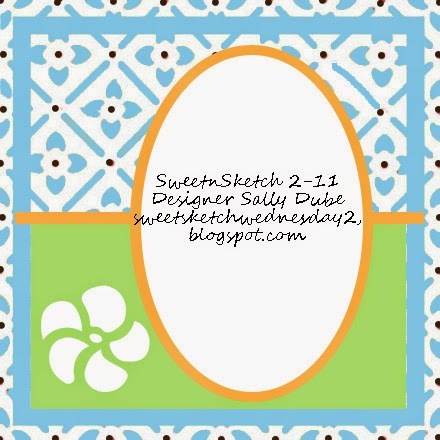 : Sweet Sketch Wednesday 2!! Happy Wednesday my friends!! What a wonderful weekend I just had!! We celebrated my daughter's pregnancy with a Baby Shower on Saturday - Sharing a few pics =) William will have a cousin in just 2 months =) Two sweet boys to grow up together - Best Buddies!! 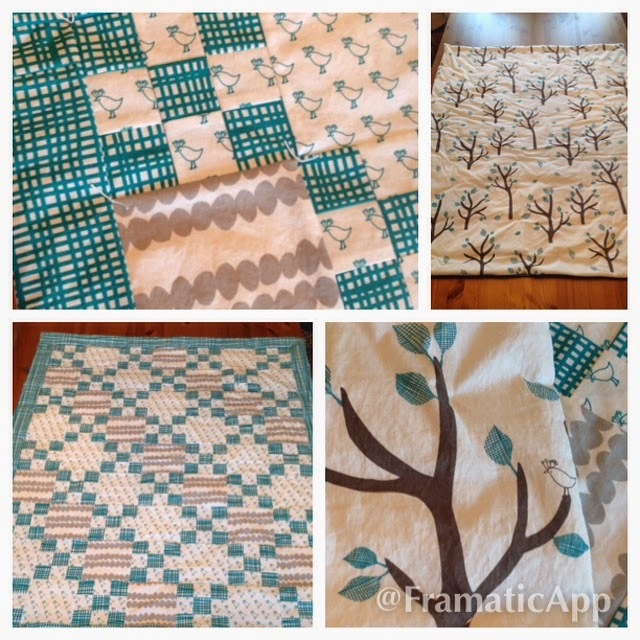 Are any of you Quilters? I always feel like making a card (especially when following a Sketch) is a lot like making a Quilt. My first love was quilting, then when I found Card Making, I found it is a lot like creating a Quilt, just in less time!! Then, Sunday, at church I had the opportunity to serve in the Nursery... That meant time with William and Jakob, what a Blessed Sunday - AND - I will be listening to the Sermon by Podcast at Lifesongne.com - I'd love to have you check out the web site... LifeSong just started holding our Sunday Worship service in Hanover MA. God is SO GOOD!! On to my Sweet Sketch Wednesday 2 post... This week our Sponsor is Digi Stamp Boutique - Sally-Ann Hancock is such a faithful Sponsor!! The whole Design Team just adores her images. 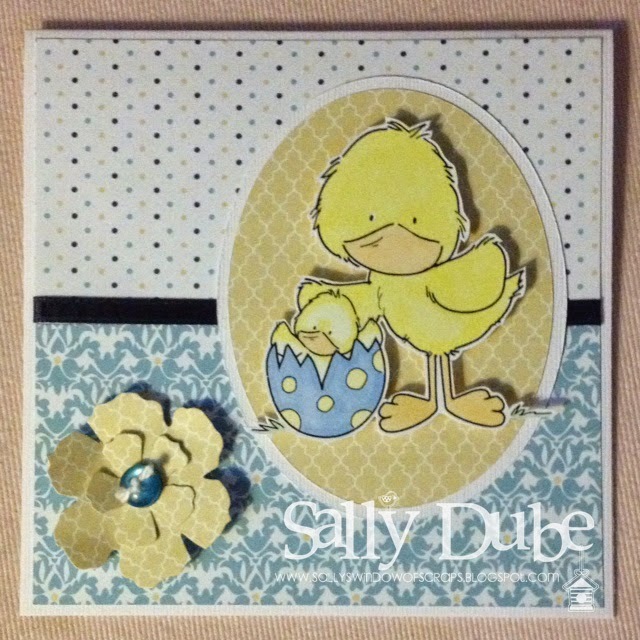 Make sure you check out all the creations... we are all thinking Spring and Easter by our image choices!! I hope you are having a wonderful week and wish you all a very Blessed Easter!! That is so sweet, love that the two boys will grow up together. You are going to be one busy Grandma! You card is darling, love the image. Have a Happy Easter. Oh bless that is just such a cute image, and how exciting that you are to be a grandma again so soon. Such an adorable card Sally! Love those chickies! Such wonderful times ahead for a Grandma!! Have a Happy Easter. Oh, and I love that image this week. Soo cute! Yes I was a quilter years ago I haven't done any for so so long. Love your sweet Easter card very cute and so are your colours. I'm so looking forward for the birth of your next Grandson, it won't be long!!! Wishing you a wonderful Easter break and hopefully you'll get some of our warm weather, it was stormy yesterday and today Good Friday is beautiful again with a little breeze. Take care and have a lovely break. I love to quilt too. I have been wanting to make another one. I keep looking at fabric. I just need to have some time to do it....I don't seem to have much of that lately. YOur card is darling Sally. I love these little duck images. They are soo fun. Have a wonderful Easter with your family.